A cycle track is an exclusive bike facility that combines the user experience of a separated path with the on-street infrastructure of a conventional bike lane. A cycle track is physically separated from motor traffic and distinct from the sidewalk. Cycle tracks have different forms but all share common elements—they provide space that is intended to be exclusively or primarily used for bicycles, and are separated from motor vehicle travel lanes, parking lanes, and sidewalks. In situations where on-street parking is allowed cycle tracks are located to the curb-side of the parking (in contrast to bike lanes). Cycle tracks may be one-way or two-way, and may be at street level, at sidewalk level, or at an intermediate level. If at sidewalk level, a curb or median separates them from motor traffic, while different pavement color/texture separates the cycle track from the sidewalk. If at street level, they can be separated from motor traffic by raised medians, on-street parking, or bollards. By separating cyclists from motor traffic, cycle tracks can offer a higher level of security than bike lanes and are attractive to a wider spectrum of the public. References for Cycle Tracks: 19 found. District Department of Transportation. "15th Street NW Separated Bike Lane Pilot Project." District Department of Transportation, District Department of Transportation, Washington, DC. King, Michael. "Bicycle Facility Selection: A Comparison of Approaches." Pedestrian and Bicycle Information Center, Highway Safety Research Center, University of North Carolina, Chapel Hill, NC. Jensen, Søren Underlien, Troels Andersen, Winnie Hansen, Erik Kjærgaard, Thomas Krag, Jens Erik Larsen, Belinda la Cour Lund, & Per Thost. "Collection of Cycle Concepts." Planning Division, Road Directorate, Copenhagen. Moore, Brian, Olson, Jeff, & Buckland, Lauren. "Columbus Bicentennial Bikeways Plan." Division of Infrastructure Management, City of Columbus, Columbus, OH. Alta Planning + Design, and Robert Burchfield. "Cycle Tracks: Lessons Learned." Alta Planning + Design, Alta Planning + Design, Portland, OR. CROW. 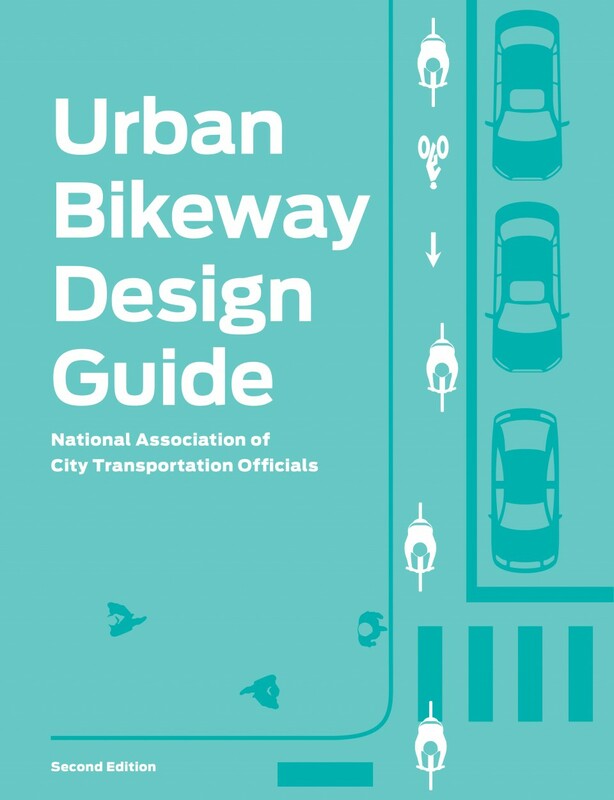 "Design Manual for Bicycle Traffic." CROW, CROW, Utrecht. Monsere, Christopher, Nathan McNeil, & Jennifer Dill. "Evaluation of Innovative Bicycle Facilities: SW Broadway Cycle Track & SW Stark/Oak Street Buffered Bike Lanes." Portland State University, Portland Bureau of Transportation, Portland, OR. Transport for London. "London Cycling Design Standards." Cycling Delivery Program Section, Transport for London, London. Los Angeles Department of City Planning. "2010 Bicycle Plan Technical Design Handbook." Department of City Planning, City of Los Angeles, Los Angeles, CA. Nottinghamshire County Council. "Cycling Design Guide." Nottinghamshire County Council, West Bridgford. Feuer, Wendy, Michael Flynn, Ed Janoff, Margaret Newman, Bruce Schaller, & Andy Wiley–Schwartz. "Street Design Manual." Department of Transportation, City of New York, New York, NY. Lusk, Anne C, Peter G Furth, Patrick Morency, Luis F Miranda-Moreno, Walter C Willett, & Jack T Dennerlein. "Risk of Injury for Bicycling on Cycle Tracks Versus in the Street." Injury Prevention, 17(2), 131-135, BMJ Publishing Group, London. Jensen, Søren Underlien, Claus Rosenkilde, & Niels Jensen. "Road safety and perceived risk of cycle facilities in Copenhagen." Trafitec, for the City of Copenhagen, Copenhagen. Alta Planning + Design. "San Diego Regional Bicycle Plan, Appendix B – Bicycle Design Guidelines/Best Practices Manual ." Transportation Committee, San Diego Association of Governments, San Diego, CA. Arup Group Ltd. "Sustrans Cycling Guidelines." Sustrans, Bristol. Leden, Lars, Per Gårder, & Charlotta Johansson. "Traffic Environment for Children and Elderly as Pedestrians and Cyclists." 18th ICTCT Workshop, International Co-operation on Theories and Concepts in Traffic Safety, Vienna.